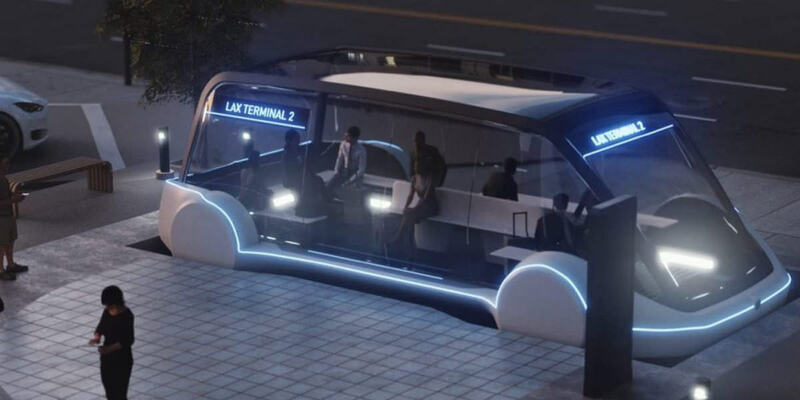 One of Elon Musk's youngest companies, The Boring Company, has just been selected to build an underground connection between the Chicago's downtown and the O'Hare International Airport, according to the Chicago mayor, Rahm Emanuel. The new transport system should significantly reduce the travel time between these two places. Currently it takes around 40 minutes. The Boring Company's solution is to take just 12 minutes from the city centre to the airport. The project will be based on an idea that the company presented few months ago. It is called Loop. It consists of tunnels in which special autonomous electric vehicles will run. Each of the vehicles, travelling at a speed of 200-250 km/h, will be able to accommodate up to 16 passengers and their luggage. Vehicles are expected to depart very frequently, even every 30 seconds. The operating principle of the system is shown in the video below. The entire project, i.e. the construction of a twin tunnel, will cost no more than $1 billion. Money for its construction will be provided by The Boring Company. In return, the company will be able to collect 100% of its tickets prices and earn money on advertising and items sold during the journey. The tunnel is to be bored directly north-west of Block 37 towards the airport. The exact construction route will be determined later. Currently, The Boring Company is involved in the construction of tunnels in Los Angeles, Calif. and Baltimore, Meryland. Ultimately, the company is planning to bore multi-level tunnels where autonomous electric vehicles could transport people and cars, optimally changing the route between the tunnels. As a result there should be significantly fewer traffic jams and much faster public transport. Elon Musk said that this type of transport should not cost more than $1, but so far it is not clear what will be the price of tickets to travel via the Chicago tunnel.